MOSCOW (Sputnik) – David Davis, the UK former Brexit secretary, said in an interview with the Huffington Post news outlet, published on Friday, that he and up to 40 "rock solid" members of the Conservative Party’s pro-Brexit European Research Group were ready to counter Prime Minister Theresa May’s plan on the UK withdrawal from the European Union. According to the outlet, the ERG plans to vote against May’s so-called Chequers plan on future relations with the bloc at next week’s Conservative Party conference and the parliament vote on the issue that will happen by the end of the year. The Huffington Post noted that some UK officials suggested there were divisions inside the ERG. "Every group in any political party has differences, egos and so on. But with Labour voting against [May’s Brexit plan], the critical size of the voting bloc is quite small, it’s basically a dozen people … The rock-solid core of the ERG is a multiple of that. I’m not even an ERG member. It’s probably 30, 40 [people]," Davis told the outlet. Davis also criticized May for believing that the only withdrawal options were her Chequers plan or the no-deal scenario. "The argument that this is all that’s on offer is just nonsense," Davis pointed out. The politician suggested that London should consider other options in its future relations with Brussels, including a free trade deal similar to the agreements between the European Union and Canada, South Korea and Switzerland. 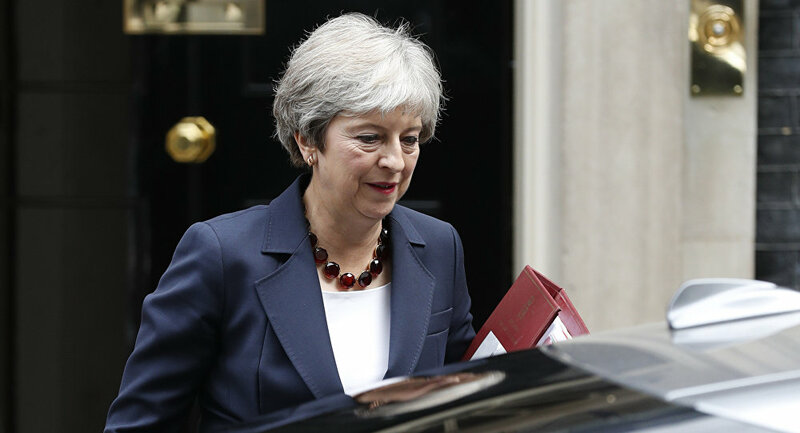 May proposed her Chequers plan in July, prompting disagreements within the Tory ranks and resignations of several cabinet figures, including Davis and then-Foreign Secretary Boris Johnson in protest against the proposals. Earlier in September, UK media reported that the ERG and other pro-Brexit Conservative members discussed potentially proposing a vote of no confidence in May’s leadership due to her way of dealing with the Brexit process. Moreover, the Chequers proposals have been criticized outside the United Kingdom. At their informal meeting in Austria’s Salzburg on Wednesday, EU leaders said that May's plan would not work.